NASCAR boasts state-of-the-art facilities in several major metropolitan cities across North America. In addition, competition and media focused employees conduct some of their work at race tracks during event season. Explore your future workplace below. The headquarters of NASCAR, the International Motorsports Center was built in 2009 using LEED Green standards. 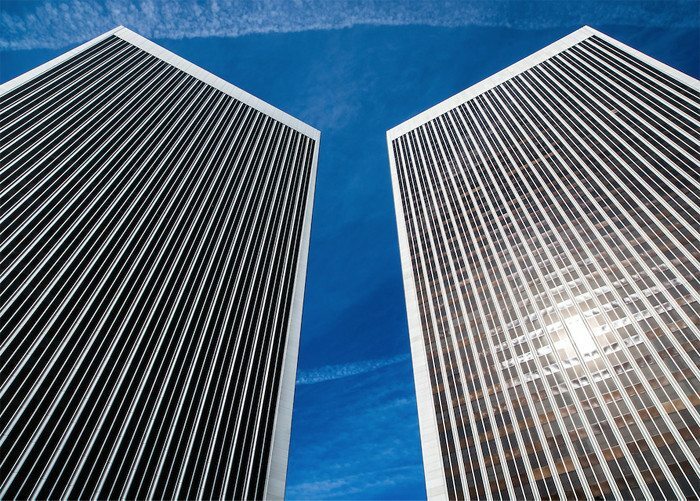 It houses several key business functions including finance and accounting, legal, risk, racing operations, human resources, diversity and information technology. This location is also the headquarters for International Speedway Corporation (ISC) and the International Motor Sports Association (IMSA). The IMC building is situated across the street from the famed Daytona International Speedway and is part of ONE DAYTONA - a premier retail, dining and entertainment destination. 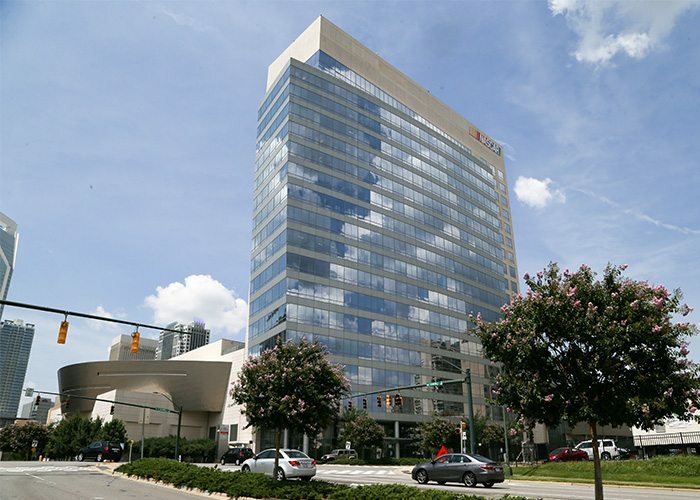 Built in 2009, the NASCAR Plaza is located in uptown Charlotte and boasts a connection to the NASCAR Hall of Fame and the Convention Center and the building is LEED certified. 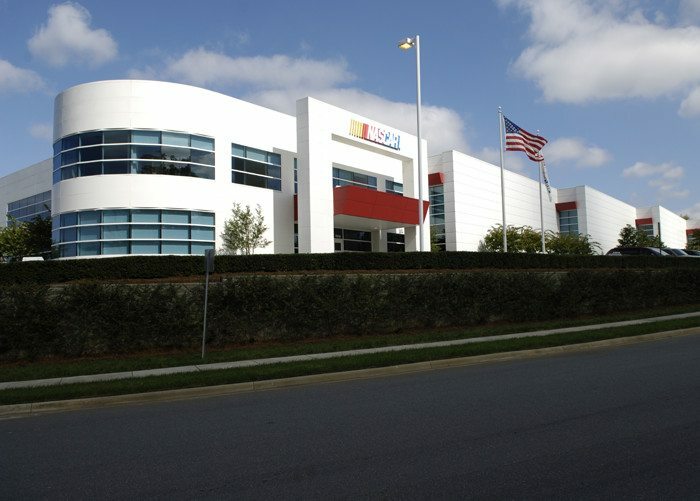 NASCAR Media Group, including productions, digital, and NASCAR.com is housed here, along with several marketing, communications and strategy functions. The office is also the hub for the NASCAR social media team. Supporting these teams, several business functions are co-located here including legal, Human Resources, and IT. The New York office is located in the heart of midtown Manhattan. The state-of-the-art league workplace is home to key leaders from a variety of NASCAR divisions including: Partnership Marketing, Strategic Development, Broadcasting and Production, Integrated Marketing Communications, Legal and Marketing. 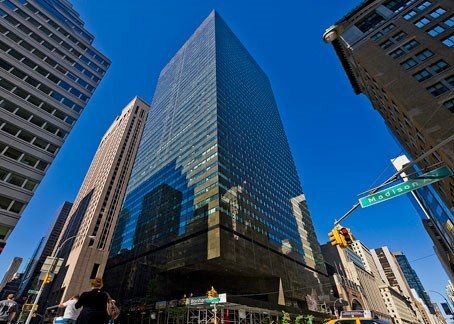 Located in the media and financial capital of the world, the Madison Avenue office is an ideal venue to host business meetings with big, blue chip brands investing in the sport; as well as broadcast partners, media outlets and other stakeholders from the industry who periodically travel to The Big Apple for meetings and events. 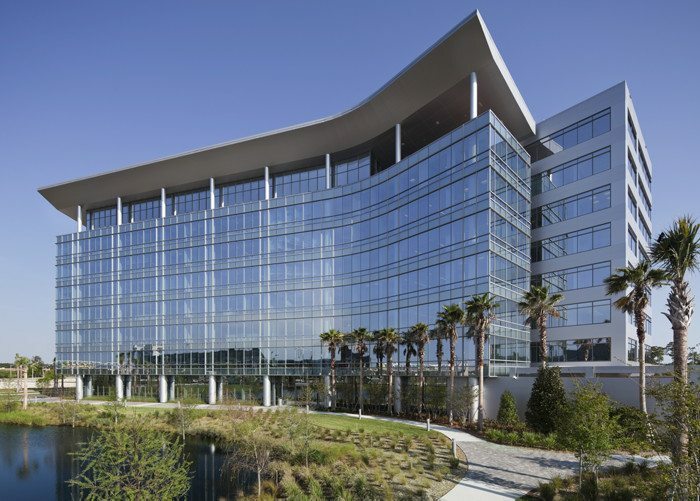 The NASCAR Entertainment Marketing division makes its home in the City of Angels. 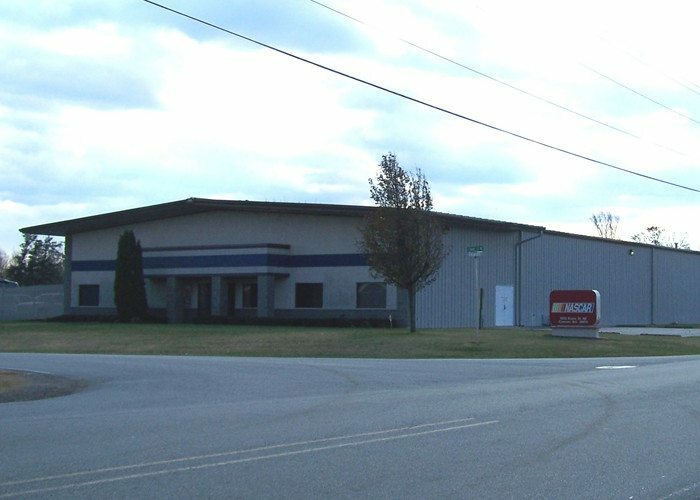 The team of employees at this location are dedicated to connecting NASCAR to pop culture and regularly host celebrities at track. This group had its creative hand in “Talladega Nights,” the Disney Pixar “Cars” franchise, “Logan Lucky” and driver appearances on several hit television shows. 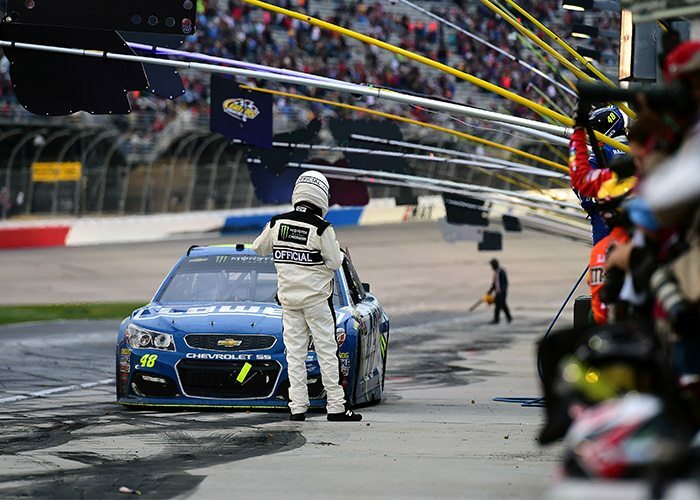 The NASCAR Research and Development Center is devoted to safety initiatives and enhancing competition for all NASCAR series. 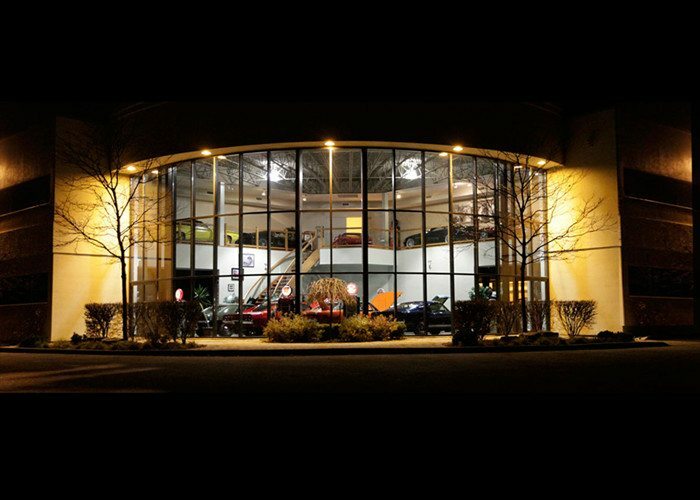 It is the first research and development center owned and operated by a sanctioning body of a major motorsports series. Engineers with a multitude of disciplinary backgrounds work out of this world class facility, along with leaders responsible for officiating the sport week in and week out. Engine performance, safety equipment testing and vehicle inspection happen regularly at this important NASCAR hub. Located on Toronto, the headquarters of NASCAR Canada oversees the NASCAR Pinty’s Series – the country’s national stock car championship – as well as collaborating in a joint partnership with TSN, Canada’s sports media company. In addition, the office manages the NASCAR brand and marketing rights throughout the country. An important location for a traveling sport, Conover serves as NASCAR's transportation hub. All NASCAR transportation haulers are on site at Conover, including each series hauler that serves as the command center on each race weekend; the Pit Road Officiating Trailer, which employs cutting edge technology to officiate the sport; and the NASCAR Technology Center, which is the nerve center for the sport’s wide use of technology, especially its Timing & Scoring operation. Located near Des Moines, Iowa Speedway joined the NASCAR family of tracks in 2013. 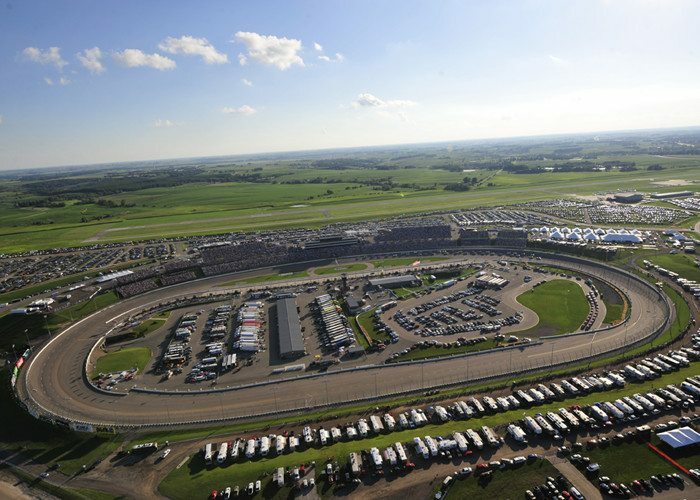 Known as the “Fastest Short Track on the Planet,” Iowa Speedway plays host to three major race weekends a year, welcoming the NASCAR XFINITY Series, NASCAR Camping World Truck Series and IndyCar. The track was designed by NASCAR Hall of Famer Rusty Wallace. The track also hosts a wide variety of track rentals, concerts and charity events, keeping busy throughout the year. Recognized as one of the world’s best road courses, Road Atlanta is a 2.54-mile road course situated in the rolling hills 35 minutes north of Atlanta. 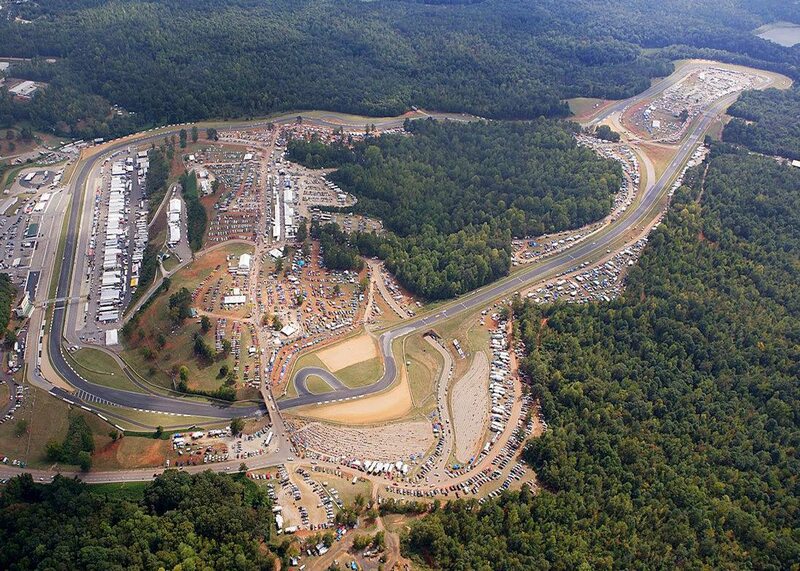 The multi-purpose facility hosts the 10-hour Petit Le Mans race that closed out the IMSA schedule and is the final of the four endurance races contested by the series. The track prides itself on a family-friendly atmosphere, with a “Kids 12 & Under Are Always Free” policy. 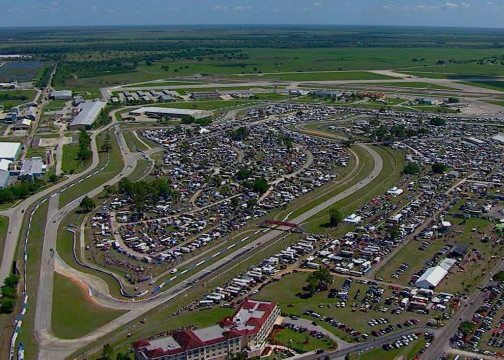 This race track located in Sebring, Florida, is America’s oldest road racing track, with over six decades of storied history. It hosts the historic Twelve Hours of Sebring each year on the third Saturday of March on the 3.74-mile road course. The Twelve Hours of Sebring is one of the four endurance races on the IMSA schedule. Ready. Set. Race! More than 1,500 events take place in the 40 states, Canada and Mexico that host NASCAR’s three national series, weekly and regional level series and IMSA’s sports car racing series. At-track roles vary from competition and officiating to broadcast production and client hosting with employees working in the garage, media center and hospitality areas.